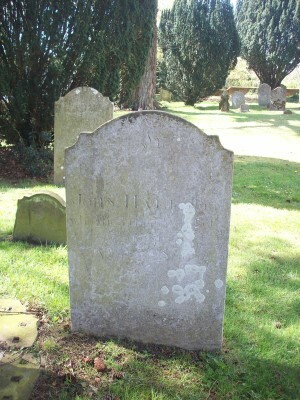 This headstone now illegible was transcribed in 1975 as "John HALL died 10 March 1825 aged 47. Mary CHASMOR wife of John HALL died 26 Dec 1848 aged 63. Richard CHASMOR died 16 March 1857 aged 69."